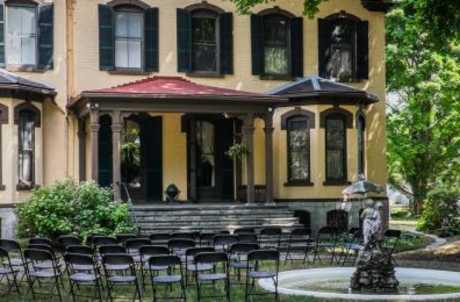 The interior of the Seward House Museum is available for receptions of up to 100 people and the Front Hall is perfect for smaller presentations of 25 people. While food is not allowed within the historic home, it can be set up in the Museum Gift Shop. The Museum is a wonderful place for events throughout the entire year. The Museum is only available for rental after operating hours. 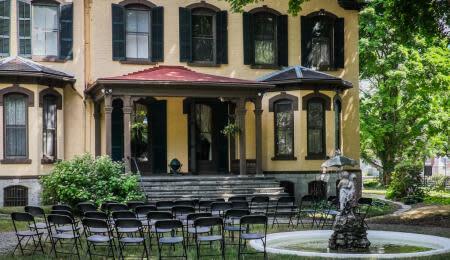 Both the Garden and Museum are the perfect place to host a gathering of any occasion. Add an elegant, classic flair to your gathering by hosting it against the backdrop of the charming Italianate villa and sprawling lacework gardens that comprise the Seward House Museum.